When it comes to Irish Whiskey, Limpd is our guru. He was the guy that introduced us to the goodness that is Midleton (he’s even let us sample a bit of the Barry Crocket Legacy edition that he picked up in Ireland. Pricey stuff that is! ), and Jameson expressions beyond the ubiquitous standard issue. He’s also the guy that has brought Redbreast, Tyrconnell, and Connemara to the table, and with the sole exception of The Knot, which was purchased under false pretenses (The Knot is definitely NOT an Irish Whiskey), the vast majority of Limpd’s Irish whiskey selections have been winners. The bottle of Teeling Whiskey that you see in the above photo belongs to Limpd. He forgot that we recently received a sample and decided to make the purchase after noticing it on the shelves in a new wine and spirits shoppe that opened in our area. Apparently, Limpd’s Pappy and nephew took a liking to this whiskey and nearly finished the bottle over the Christmas and New Year holidays. 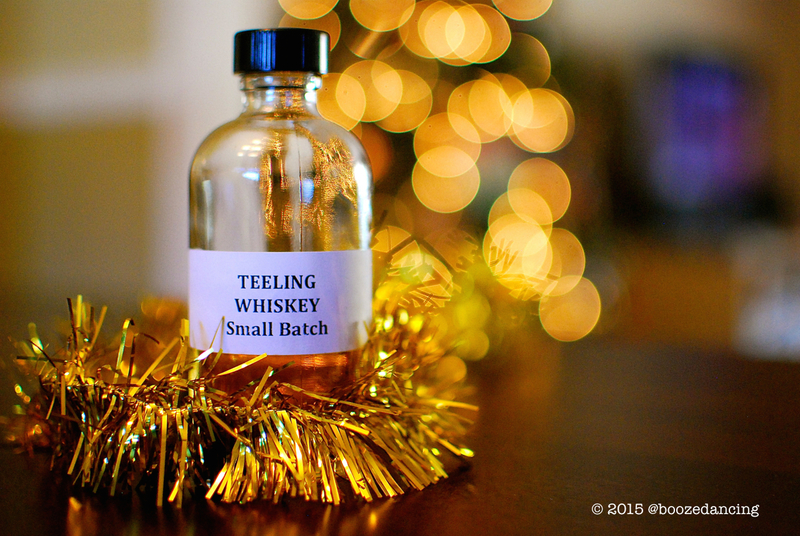 Thankfully, between what was left in the bottle and our two samples, we had more than enough Teeling Whiskey on hand to write up a proper review. Our Flagship Irish whiskey and our attempt to create the most interesting Blended Irish whiskey. This small batch bottling consists of hand selected casks which are given further maturation in ex-rum barrels imparting extra character and smooth flavour unique to Irish whiskey. By bottling at 46% with no chill filtration completes an Irish whiskey of true character. Limpd: Alcohol vapor that gives way to heather, honeysuckle, drawn butter and vanilla. G-LO: A touch of alcohol at the onset that quickly subsides and allows the following notes to come through: green apple, hints of cinnamon, fresh cut grass, spearmint, licorice, and a touch of witch hazel. Limpd: First, you are hit with the velvety vapors and then a nice bit of sweetness (simple syrup and vanilla caramels) and then a hearty, spicy heat ending with a nice warming finish. G-LO: There’s some alcohol burn initially, but thankfully, it fades quickly. Starts off creamy and lightly spiced with lots of vanilla buttercream and cinnamon goodness. The spiciness builds in the middle with some herbal notes coming through. Ends with vanilla, some pepperiness, and a soothing wintergreen burn. Medium finish with a wintergreen and vanilla aftertaste. Limpd: This was a fantastic Irish whiskey. As G-LO mentioned, I am a big fan of Irish whiskey, and I would put the Teeling right up there with the Redbreast. 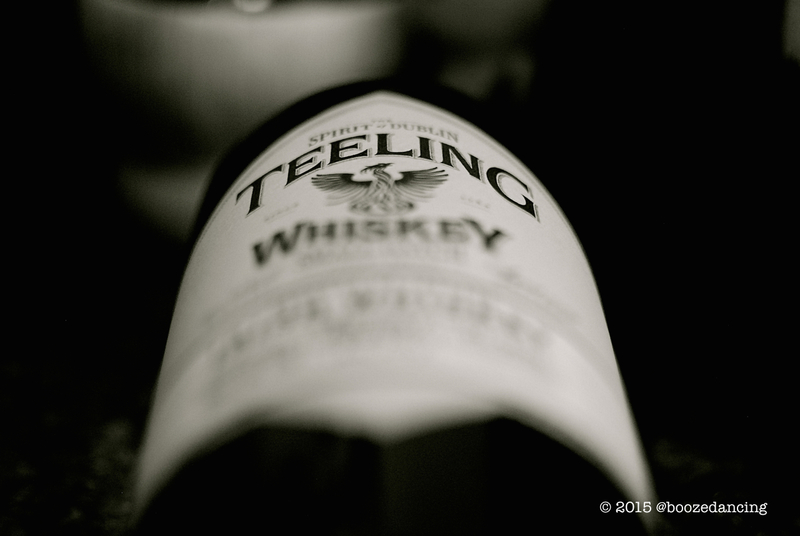 Multi-layered and easy drinking, Teeling went from the unknown to the unexpectedly wonderful in a single dram. G-LO: Teeling Small Batch is definitely one of the more interesting and flavorful Irish whiskeys that I’ve had recently. It has the usual smoothness and easy drinking nature that I’ve come to expect from Irish whiskey, but thanks to its hearty ABV, it also has a lovely level of intensity. I really enjoyed this and would definitely recommend that you give it a try. Teeling Whiskey was yummy yummy in my tummy!